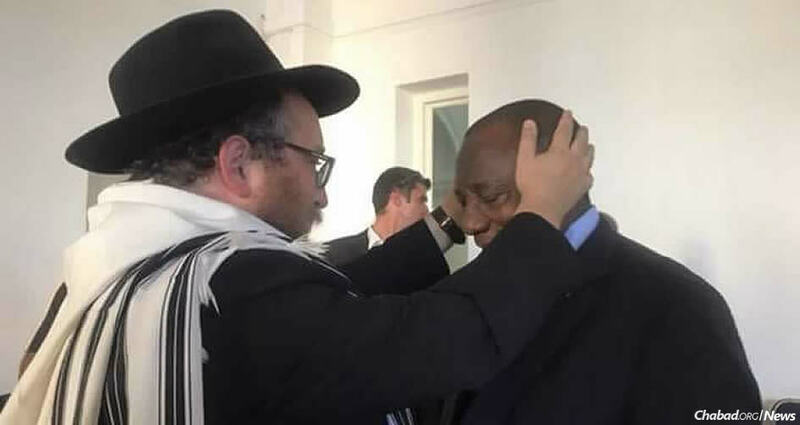 President Cyril Ramaphosa of South Africa receives a blessing from Rabbi Asher Deren, chairman of the Rabbinical Association of the Western Cape. Twenty-eight years ago, Cyril Ramaphosa stood outside Cape Town’s city hall, holding a microphone for Nelson Mandela, who had just been released from prison. This week, days before he assumed the South African presidency, Ramaphosa stood at the very same spot, celebrating 100 years since his mentor’s birth, and received the blessings of Chabad-Lubavitch Rabbi Asher Deren, chairman of the Rabbinical Association of the Western Cape. Deren evoked the assurance of the Rebbe—Rabbi Menachem M. Schneerson, of righteous memory—addressed to the South African Jewish community, assuring them that South Africa would remain a safe and prosperous place to live until the arrival of Moshiach. As a Kohen (priestly descendant of Aaron, brother of Moses), Deren conferred the biblical Priestly Blessing upon Ramaphosa, the ANC’s leader and the country’s current deputy president. 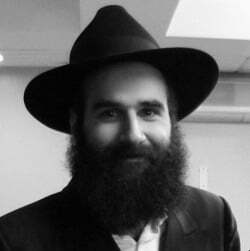 “When I lifted my hands to bless him, he very humbly bowed forward and seemed very moved by the gesture,” Deren told Chabad.org. 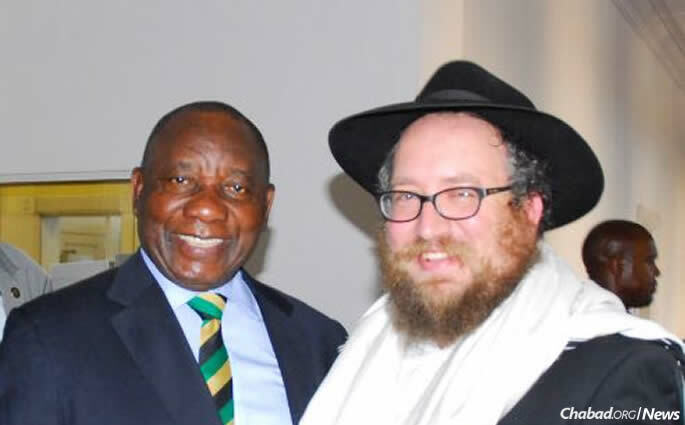 President Ramaphosa and Rabbi Deren at a ceremony two days before Ramaphosa was sworn in.